As proven by her relatively lengthy giant cosmic bullet imprisonment and subsequent absence from Earth, the X-Men know all too well the pain a lost Kitty can impart upon a family. That's why fandom seems pretty stoked for Pryde's upcoming return this March, even if there's a little "HOW CAN THIS BEEEE?!!" factor regarding her fairly impossible living conditions of late. But in the case of Kitty Pryde, does it really matter how she comes back as long as she's in one piece and ready to rumble once again? Several sites are celebrating Pryde's return in some capacity. Comic Book Resources has a first look at artist Whilce Portacio's Kitty pages coupled with their Matt Fraction interview, while Newsarama has an exclusive look at "X-Men" #522's Mark Brooks variant that morphs Kitty's Breakworld bullet prison into a spot-on "Dr. Strangelove" parody. What does ComicsAlliance have to commemorate the occasion? 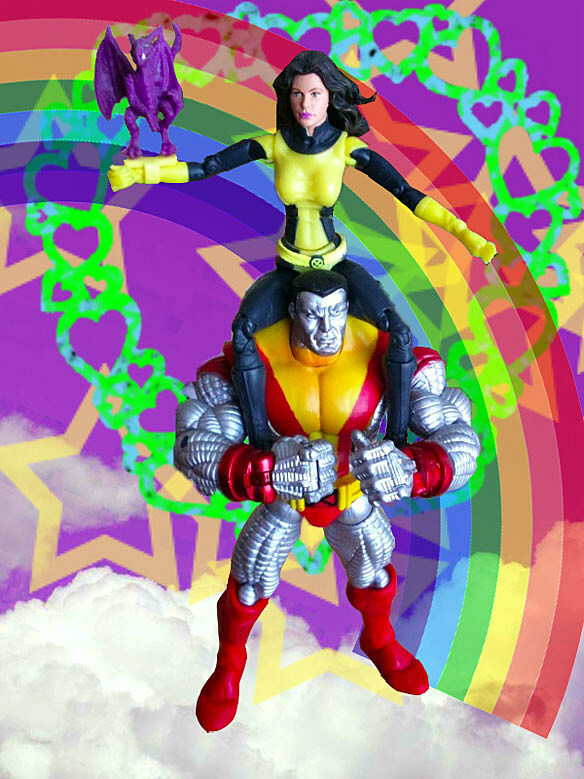 We've got Kitty and Peter's Lisa Frankian level love all figured out. This is the reunion every fan really wants to see. And if it's not...well...now you know a little more about my other hobbies.